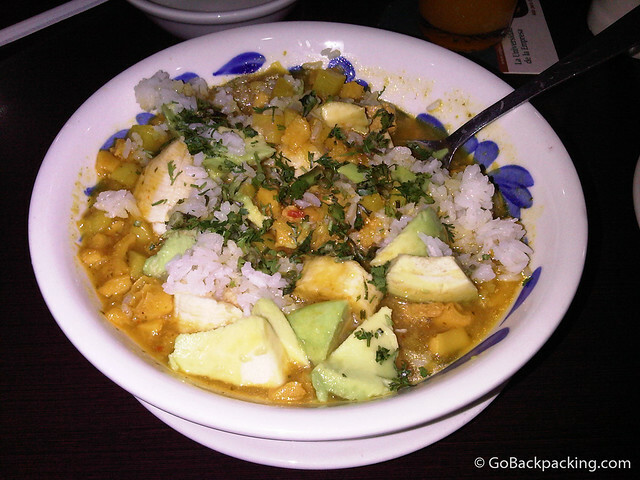 When Brock of Backpack With Brock arrived in Medellin, the first place we sat down to talk was Mondongo’s in El Poblado. 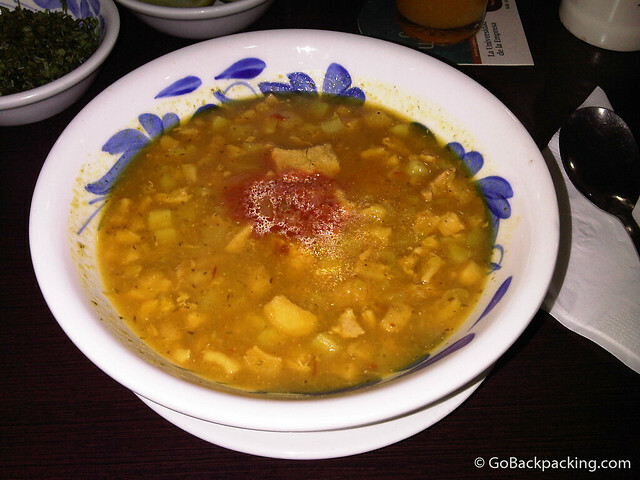 Serving up traditional Antioqueno cuisine, Mondongo’s is best known for the Mondongo soup by the same name. 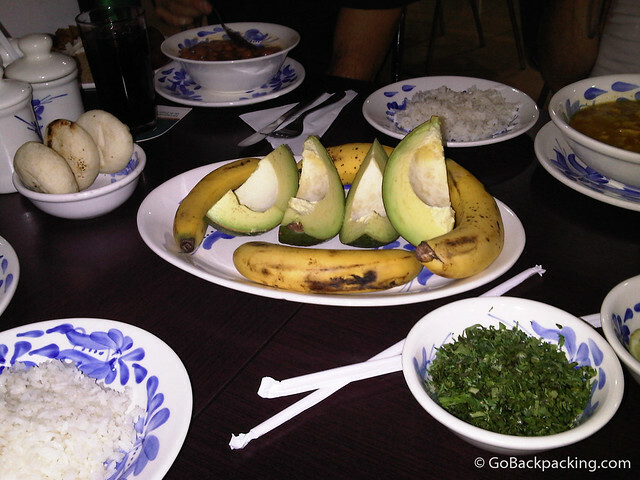 All the fixings for your Mondongo soup: avocado, bananas, rice, cilantro, arepas. You heard me, it’s the stomach lining of cows chopped up and throw in a broth for our consumption. Luckily for those not ready to eat it plain, it’s served with a variety of sides you throw into the soup, including avocado (my favorite), bananas, rice, arepas, cilantro, and hot sauce. The irony of introducing Brock, and Michael of Mobile Lawyer, to this soup is that they both finished their massive bowls, while I barely made a dent in mine. I can still be a picky eater at times, and even though I added all the accompaniments to lessen the tripe-flavored goodness, I still couldn’t stomach it (pun intended). Mondongo’s soup with all the sides. 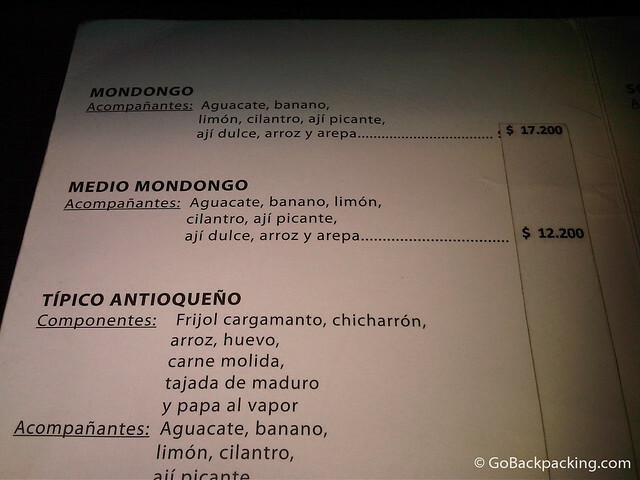 All the same, if you’re visiting Medellin, I suggest you step outside of your comfort zone and give Mondongo’s a try. This hearty soup offers a break from the typical chicken, beef, and fish entrees, and will give you street cred with the paisas.